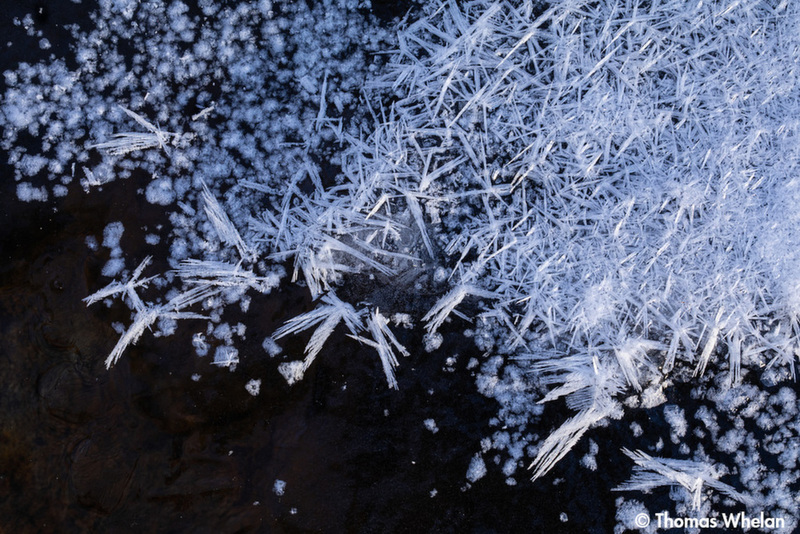 Ice crystals on the frozen surface of a brook. Nice work Tom, not a subject I ever come across living over here. Fascinating study of form and texture, Tom! Love the texture. Great subject, and a good find. Ditto what Carol said. The ice crystals are always interesting. Very nicely done -patterns and shapes very pleasing-clicking on this shows some additional beautiful light.